MANILA, Philippines (AP) -- A senior U.S. official said Wednesday that Washington wants to expand economic ties with Asia, the world's fastest growing region, but warned that China's provocative conduct in the South China Sea raises tensions that are bad for business. 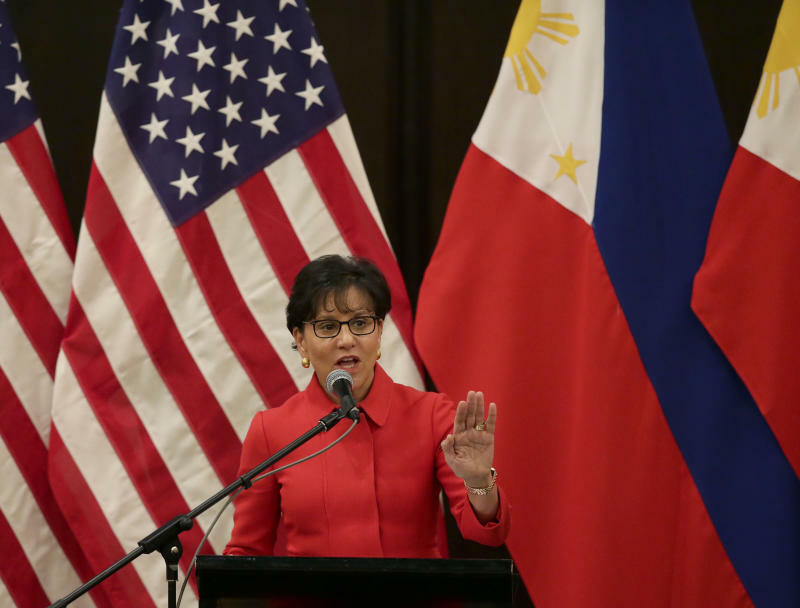 U.S. Secretary of Commerce Penny Pritzker told American and Filipino business groups that the United States has overinvested its diplomatic, economic and strategic resources in other parts of the world. She said it was committed to policies "to correct the imbalance and to deepen U.S. engagement" with Asia. Pritzker's swing through Vietnam, the Philippines and Myanmar is mainly focused on the economic elements of President Barack Obama's policy of refocusing U.S. foreign policy on Asia. At the same time, Obama has been in Europe reassuring U.S. allies about its security commitments to the region after Russia's annexation of Ukraine's Crimean Peninsula raised tensions. Asia and the Pacific are expected to be home to 54 percent of the world's middle class by 2022 and will import nearly $10 trillion worth of goods and services by then, more than double the level today, Pritzker said. Through 2020, more than $1 trillion of infrastructure investment is needed in the 10-member countries of Association of Southeast Asian Nations to meet the demands of a growing population. She told reporters that American companies are optimistic about the region. But China's deployment last month of an oil rig accompanied by government vessels in South China Sea waters also claimed by Vietnam and its incursions into areas claimed by the Philippines "are provocative and they raise tensions." "We're very concerned about that," she said. "Actions like these create uncertainty, which is not good for the business environment." China, the Philippines, Brunei, Malaysia, Vietnam and Taiwan have overlapping claims across the South China Sea, one the world's busiest shipping lanes. Beijing says it has sovereignty over virtually all of the resource-rich waters since ancient times. Pritzker said the United States has a national interest in maintaining peace, unimpeded lawful commerce, freedom of navigation and overflight in the South China Sea. It supports diplomatic and legal means to resolve the dispute, including the Philippines' decision to seek arbitration from an international tribunal in The Hague. AP Writer Oliver Teves contributed to this report.